Tyler was born and raised in Barrie. As a child he attended church in Newmarket where his parents were involved in worship ministry and his interest in drumming on the worship team began. He professed faith in Jesus at age four and decided to be baptized at age 12 at Newmarket Alliance Church. Attending youth group at Bethel Community Church, he grew in his faith and developed his vocal and percussion talents by serving in the youth band called “Cutting Edge Praise”. Tyler met his wife, Amber, in youth group and they got married after he graduated from the Georgian College Graphic Design program in 2006. 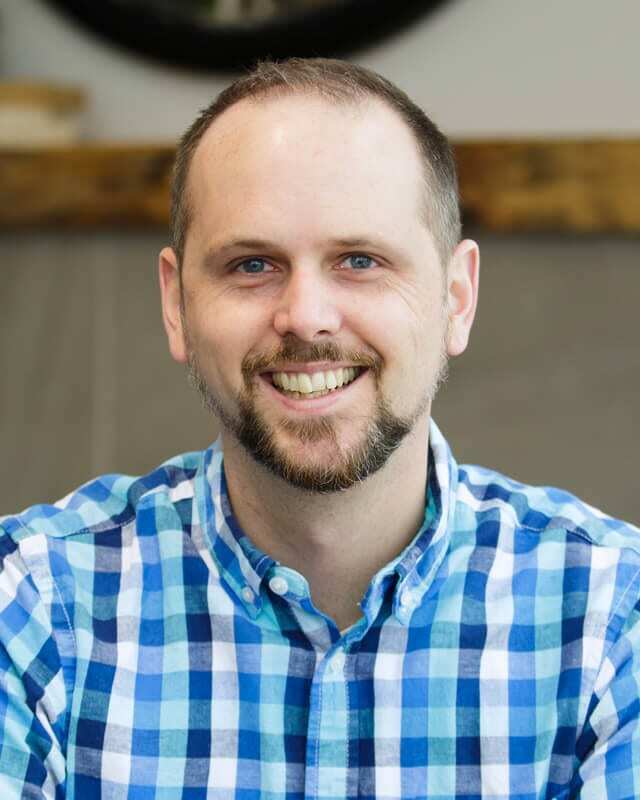 He made Harvest his home church in 2002 where he began serving on the worship team, has lead various small groups with Amber, and joined the staff team in 2015. In recent years verses that have spoken to Tyler are Romans 5:1–5.